Regular Financial Slacker readers will know about my current goal of starting my own business. But what you may not know is that this is not my first time going down this path. 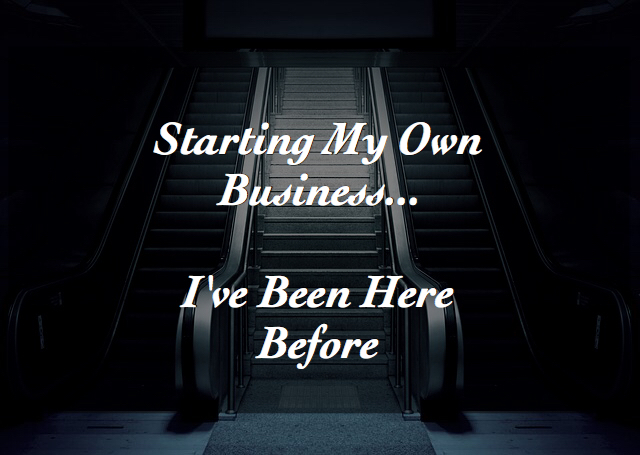 For as long as I can remember, I dreamed about starting my own business. That dream first became a reality about 10 years ago, when I launched a healthcare consulting business. But for many years before, the success I was enjoying in my career kept getting in the way of starting my own business. When you have a mortgage, car payments, and a family to provide for, it’s hard to walk away from a good-paying job and jump into a startup making no money. I refer to this as the success trap. It’s a vicious circle of making money and spending money and needing to make even more money to continuing funding your lifestyle. Yesterday’s article about spending less than you earn touched on this problem that seems to be even more prevalent with high income earners. Back when I started working, I could have easily fallen into this trap. But luckily for me, I had a little hidden trick up my sleeve. Early in my career, my job had a built-in mechanism for saving money which prevented me from spending everything I earned. In addition to a decent base salary, my job also paid bonuses. And actually it was even better as Ms. Financial Slacker’s job also had the same structure. As I’ve mentioned before, I am not a big fan of budgets, instead preferring to use a bucketing approach to expense management. So we set up our lifestyle and funded it with only our base salaries, saving all our bonuses and other sources of income. This structure allowed us to not only pay off $60,000 in student loans, but also to save a substantial amount all before the age of 30. The net result was that we established a solid retirement foundation primarily with money invested in pretax retirement accounts including 401(k)s and IRAs. And because of the wonderful benefits of compounding returns, that foundation will grow to be enough to provide for us once we reach 65 years old (or somewhere around there) and can begin withdrawing the funds. But as great as it was to have our later years fully funded by the age of 30, that was (and still is) a long way off. And in the meantime, we still had bills to pay. Living an extremely frugal life was one thing when it was just the two of us, but after having children, it became more challenging. Our monthly bills just seemed to grow and grow and grow. Private school, swim lessons, food. Everything just cost more. And that required earning an income. Up to that point, earning a good income had never really been a problem. We both had good-paying jobs and continued to get nice annual increases. Additionally, we continued getting paid bonuses which we consistently saved every year. But like many, simply earning an income wasn’t enough for me. I wanted more from life. So I began seeking out other opportunities. And it was about that time that the itch came back and starting my own business would soon become a reality. A year or so prior, we had decided to make a change and relocate to be closer to family. Having our children grow up with extended family nearby was something both Ms. FS and I valued. So I began a job search. Times were good and pretty quickly I had an offer that came with a very generous relocation package. So we took the plunge and made the move. Unfortunately, shortly after I started my new job and before the rest of the family had even moved, I discovered that my boss was leaving. Things deteriorated from there. His replacement and I did not get along. And I had underestimated what would be involved in changing industries. Everything that I knew now seemed irrelevant. It was as if they were speaking a foreign language. Additionally, I did not embrace the corporate culture of the company. I had come from a large billion dollar plus company, but there was still a sense of entrepreneurship throughout the organization. The new company had fewer people but was highly bureaucratic. Things moved slowly. And the people who worked there were more interested in getting laid off with a severance package than anything else. So even though the job had a great title and good pay, I did not fit in and was miserable. And for the first time in my life, I was in a situation where starting my own business didn’t appear to be a crazy idea. For most of my career, starting my own business seemed like an impossibility. Giving up the salary, bonus, and other perks was too difficult. I came up with reasons why it didn’t make sense, but in the end, I just didn’t want to give up the comfort of making money. But once that comfort began to go away with the new job, I saw things differently. From a financial perspective, my hurdle rate went down. Not only was my salary less than it had been before, but I was not happy in the environment. We had continued saving money and had a decent emergency fund set aside so I wouldn’t need to draw a salary initially. Ms. FS had a good job and everything seemed stable. At least this was what we thought at the time. Little did we know that the US economy was on the verge of the greatest recession since the Great Depression. But at the time, starting my own business looked like a viable option. It Was the Economy, Stupid! I started my consulting business back in 2007 shortly before the economy came crashing to a halt. At the time, Ms. FS worked in real estate which took the brunt of the economic impact. It was a tough time for many people. We had good reserves and made it through. And although it looked promising, the new business never had a chance to fully stand on its own before I got pulled back into the corporate world. But now that it’s 2016, the urge to start my own business is again pulling me towards something. And I am excited to see where it takes me this time around. Stay tuned to hear more about what’s been happening. Readers, is there something holding you back from pursuing your dreams? Is there a way to overcome that resistance and move forward? If you want to share via email, that’s fine. I would love to hear from you and offer my support in any way I can. Previous Post: « Spend Less Than You Earn…Or Stop Complaining! I went through a similar experience FS. Years ago I worked for a large US multinational in a plum sales and marketing position earning more money than I had ever before and plenty of overseas travel. Then we had a change in boss and the enjoyment of my job rapidly evaporated. I negotiated a severance and started a business installing smart home technology which was starting to take off. Then the building industry collapsed with the GFC and suddenly nearly all of the work I had lined up disappeared as customers cut back on their building costs. In the end it wasn’t sustainable and I just shut up shop and walked away. It takes a lot of courage to give up a well paying job especially when you have family to support. But if you have done your homework and believe in yourself, running youright own business can be very satisfying as you know. The biggest lesson I learnt was don’t overcommit yourself financially and always have a backup plan. Good luck for your new venture when it eventuates. It’s comforting to hear stories like that. Good to know I’m not the only one who has experienced these situations. As you say, always have a backup plan. Props for trying to get your own gig going. I’ve got lots of respect for those who try to branch out on their own. I think its tough for anyone, but even more so for those who have wives/husbands/kiddos/other family obligations. Also, unless you’re absolutely entrenched in the financial markets, seeing things like 2008 before they happen is not easy at all. Great post, thanks for sharing the story! Thanks for stopping by and commenting, Paul. I’m not even sure those who were entrenched in the financial markets in 2008 saw it coming. We’ll have more downturns, but hopefully, that was once in a lifetime. Thanks for giving an insight into your business aspirations. It must have been pretty frustrating to have your dreams so ill-timed with the 2007 crash, I hope history won’t repeat itself for you! The timing was not good back in 2007. But I did learn much about myself in the process. Having lived through the events, I’m much better positioned to do something now than I was back then.